We’re pleased to share this “make your supply chain more dynamic” blog published by our partner TRIMIT. Turn your supply chain into an in-stock, on time, everything is where it needs to be operation. Create a finely-tuned supply chain by putting your real-time data to work – collecting and combining it with powerful analysis tools – so you will always know what you need and where it needs to be. One thing is consistent in today’s work environment, things are always changing. From regulatory requirements to customer expectations. Be agile and stay ahead of the competition with systems that easily adapt to fluctuating business needs. Identify vulnerabilities and prevent them from becoming disruptions to your business with tools that make it easy to spot weaknesses in your supply chain. Track actual landed costs and get a clear picture of your profitability. It is easy with increased visibility and control over your production and inventory. Turn years of historical data into information you can easily analyse to spot trends, identify new sales opportunities, and provide great customer experiences. 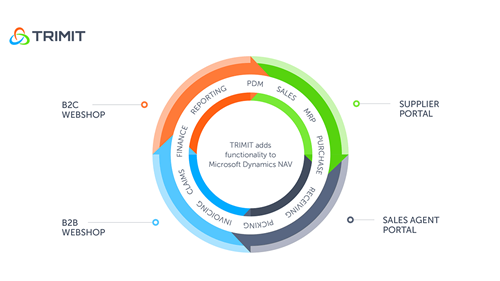 Ideal for manufacturing companies who require additional configuration functionality within Microsoft Dynamics NAV, TRIMIT takes native Dynamics NAV, replacing costly customisation with a solution specifically designed to handle product variants, stakeholder communication and synchronisation of global supply chain management efforts. To find out more, please download the TRIMIT configuration factsheet and contact Prodware. What are your cloud deployment and support options? Lee's background in infrastructure and technology has given him the experience, skills and understanding to help Prodware customers throughout their journey with us, from presales, consultancy through to ongoing support. Digital transformation and disruptive technology is a key area that Lee is passionate about and he imparts this knowledge to help our customers achieve their commercial ambitions.